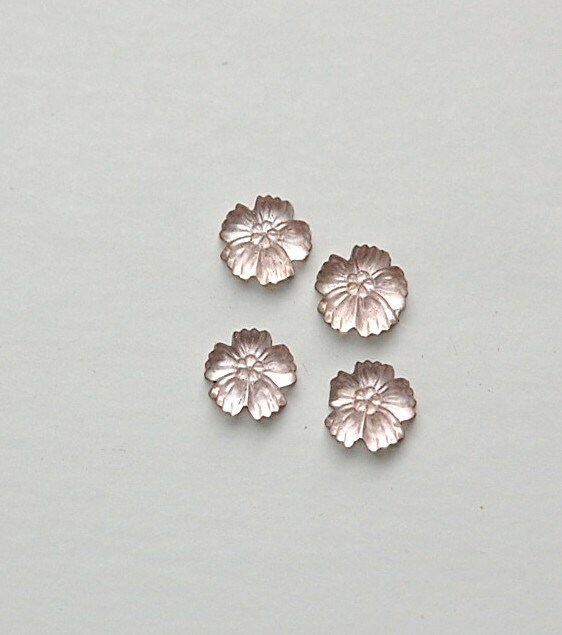 These are vintage glass flower cabochons that were made in Germany. They are a light pink color. They have a flat back with gold foil. These measure 8mm. You will receive 4 pieces. Tiny and lovely, just as pictured! Love them! Sweet and delicate little flowers with a pretty and unique pink tone. Great shop with a wonderful selection of unique and good quality products. Highly recommend. Thanks for everything! These are nicely made, in perfect condition. Very sweet. 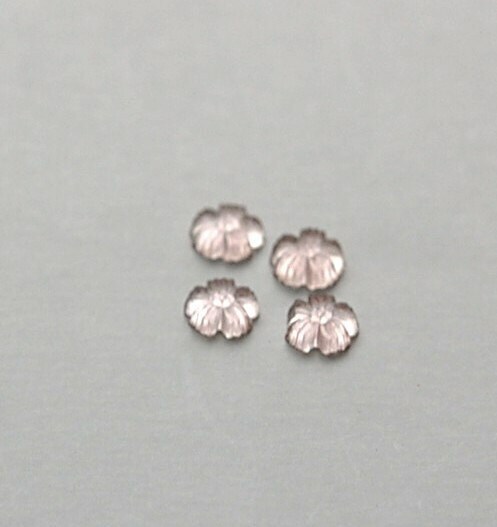 Lovely little pink glass flower pieces to use on a jewelry project. Well packed and shipped fast!